Physical therapy provides an excellent, comprehensive and cost efficient way to address your musculoskeletal pain. If you’re suffering from a muscle, tendon or joint injury and looking for the best option for care, there are several reasons why physical therapy at Mondo Sports Therapy could be the right option for you. Physical therapy is designed to get you back on your feet quickly, and with lasting results. We work hard to keep our athletes active and understand the importance of competitive training and racing schedules. Most insurance providers cover some portion of physical therapy, and physical therapy reduces medical costs by diminishing the need for unnecessary prescription drugs, imaging scans, or surgeries. The therapists at Mondo Sports Therapy are experts in the management of movement disorders and are committed to providing superior healthcare from start to finish. We will provide your care from the identification of a treatment plan through the final visit, ensuring consistent, best-quality care. Yes. 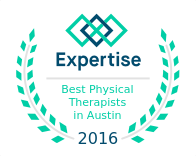 Currently, the state of Texas requires that physical therapists work under the orders of a physician. This means that you will need to see a physician (any physician you choose) in order to get a referral or prescription for physical therapy before you can be treated by a physical therapist. How often do I need to come to physical therapy? In most cases we will see you once a week. The treatment session generally lasts from 45 to 60 minutes. We do provide extended operating hours to make it as convenient as possible for you to come to our facility. Most insurance policies cover some portion of physical therapy treatment. Beyond insurance coverage, physical therapy has proven to reduce costs by helping people avoid unnecessary imaging scans, surgery, or prescription drugs. Physical therapy can also lower costs by addressing conditions before they become chronic problems. Can I not just do the physical therapy exercises myself? Yes, you can, and we expect you to do your “homework.” Your participation is key to a successful treatment plan, but every patient still needs the expert care and guidance of a physical therapist. We frequently perform joint manipulation, mobilization, and soft tissue work that cannot be performed individually. We also leverage our specialized education, clinical expertise, and the latest available evidence to evaluate your needs and make a diagnosis before creating an individualized plan of care. 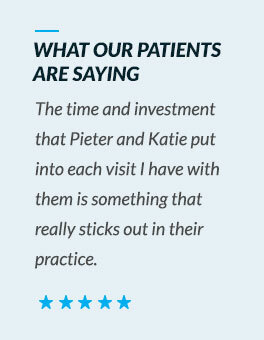 You will be evaluated by either Pieter Kroon or Katie Gwyn, and they will also treat you during subsequent visits. Unlike some clinics, where you see someone different each visit, we feel it is very important to develop a one-on-one relationship with you to maintain continuity of care. The physical therapist bills your insurance company, or charges you based on Common Procedure Terminology (CPT) codes. It is important to understand that there are many small steps (beyond the outline provided above) within the process. Exceptions are common to the above example as well. What do I need to bring with me at my first visit? Make sure you bring your physical therapy referral (provided to you by your doctor) and your payment information. If your insurance is covering the cost of physical therapy, bring your insurance card. You should wear loose fitting clothing so you can expose the area that we will be evaluating and treating. For example, if you have a knee problem, it is best to wear shorts. For a shoulder problem, a tank top is a good choice, and for low back problems, wear a loose fitting shirt and pants, so we can perform a thorough examination. Worker’s Compensation. We may release health information about you for workers’ compensation or similar programs. These programs provide benefits for work-related injuries or illness. In situations where you are not capable of giving consent (due to your incapacity or medical emergency), we may, using our professional judgment, determine that a disclosure to your family member or friend is in your best interest. In that situation, we will disclose only health information relevant to the person’s involvement in your care. Non-Custodial Parent. We may disclose health information about a minor child equally to the custodial and non-custodial parent unless a court order limits the non-custodial parent’s access to the information. Right to Inspect and Copy. You have the right to inspect and copy your health information, such as medical and billing records, that we keep and use to make decisions about your care. You must submit a written request to Pieter Kroon or Katie Gwyn at our clinic in order to inspect and/or copy records of your health information. If you request a copy of the information, we may charge a fee for the costs of copying, mailing or other associated supplies. To request a correction, complete and submit a MEDICAL RECORD AMENDMENT/CORRECTION FORM to Pieter Kroon or Katie Gwyn in our clinic. We will provide you with one of these forms at your request. Right to an Accounting of Disclosures. You have the right to request an “accounting of disclosures.” This is a record of the disclosures we made of medical information about you for purposes other than treatment, payment, health care operations, and a limited number of special circumstances involving national security, correctional institutions and law enforcement. The records may also exclude any disclosures we have made based on your written authorization. To obtain this accounting, you must submit your request in writing to Pieter Kroon or Katie Gwyn in our clinic. It must state the time period for which you want an accounting. The time period may not be longer than six years and may not include dates before April 14, 2003. Your request should indicate in what form you want the list (for example, on paper, electronically). The first list you request within a 12-month period will be free. For additional lists, we may charge you for the costs of providing the list. We will notify you of the cost involved and you may choose to withdraw or modify your request at that time before any costs are incurred. To request restriction, you may complete and submit the REQUEST FOR RESTRICTION ON USE/DISCLOSURE OF MEDICAL INFORMATION AND/OR CONFIDENTIAL COMMUNICATION to Pieter Kroon or Katie Gwyn. We will provide you with one of these forms at your request. To request confidential communications, you may complete and submit the REQUEST FOR RESTRICTION ON USE/DISCLOSURE OF MEDICAL INFORMATION AND/OR CONFIDENTIAL COMMUNICATION to Pieter Kroon or Katie Gwyn. We will not ask you the reason for your request. We will accommodate all reasonable requests. Your request must specify how or where you wish to be contacted. If you believe your privacy rights have been violated, you may file a complaint with our office or with the Secretary of the Department of Health and Human Services. To file a complaint with our office, contact Pieter Kroon or Katie Gwyn. You will not be penalized for filing a complaint.